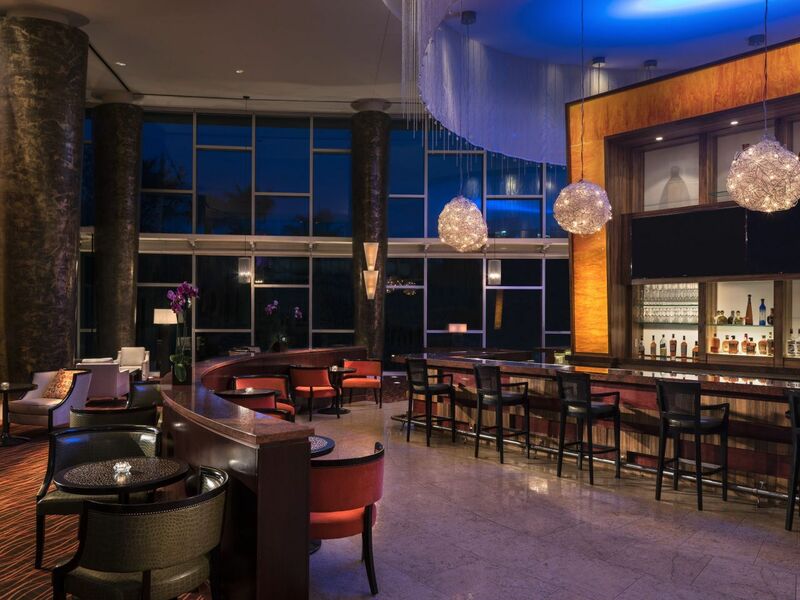 Indoors or outdoors, casual or classy—you have options when you dine at Hyatt Regency Orlando. With seven different dining options to choose from, including a Florida-inspired eatery and 24/7 market, you’ll find something to delight even the most discerning taste buds. Dining with the family? At Urban Tide and Fiorenzo, kids ages 12 and under eat free with each adult entrée purchase. For private dining options, please email Lissette Alicea or call (407) 345-4565. Savor true Florida flavor as you overlook the Grotto Pool, with a craft brew or eclectic cocktail in hand. This chic eatery sources ingredients for its signature dishes from a variety of local vendors. Planning a gathering? Book the private dining room for 20 or fewer people, or reserve the entire restaurant—which accommodates up to 194 people. Combining the charm of an authentic Italian restaurant and wood-fire oven with the energy of an open kitchen, Fiorenzo offers a warm, romantic atmosphere. 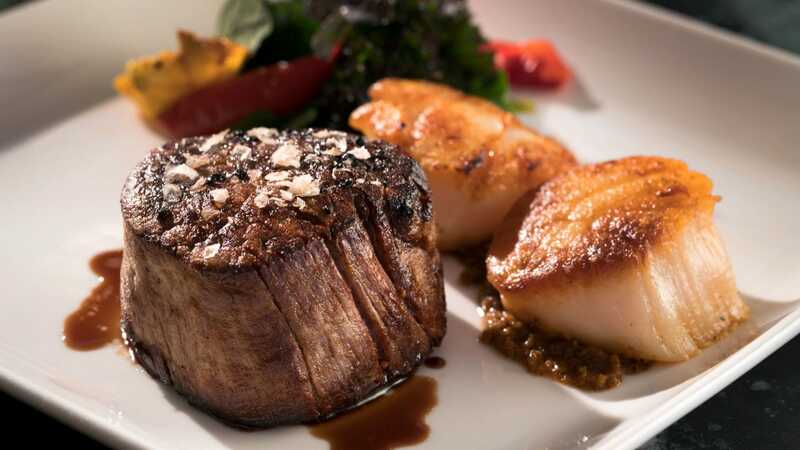 Order from a refined menu featuring steaks, chops, seafood, and more. Or enjoy pre- or post-dinner drinks in the full-service bar. Private dining rooms are available for 20–200 people. Monday–Saturday: 6:00 p.m. –10:00 p.m. 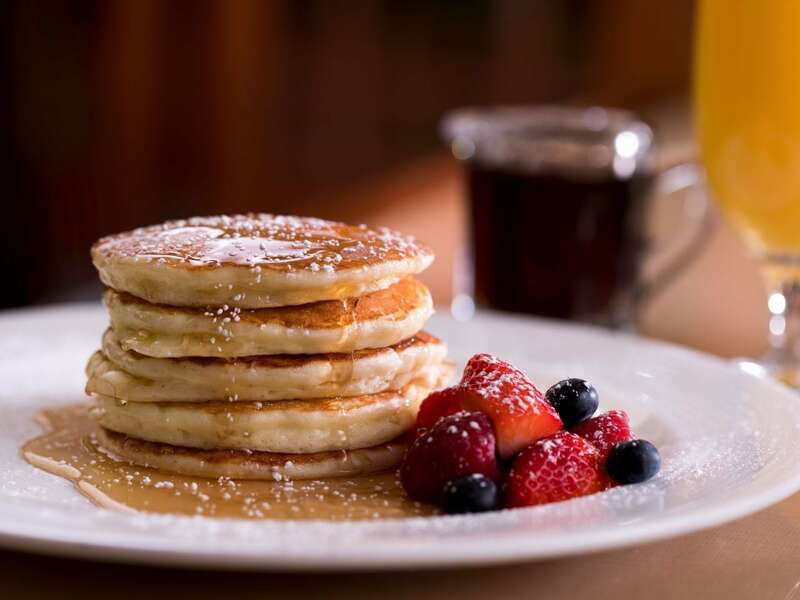 Whether you’re hungry for breakfast, lunch, dinner, or late-night snacks, B-Line Diner offers classic comfort food and friendly service around the clock. And don’t forget to check the pastry case for cakes, pies, and mini desserts—all refreshed daily by our pastry team. 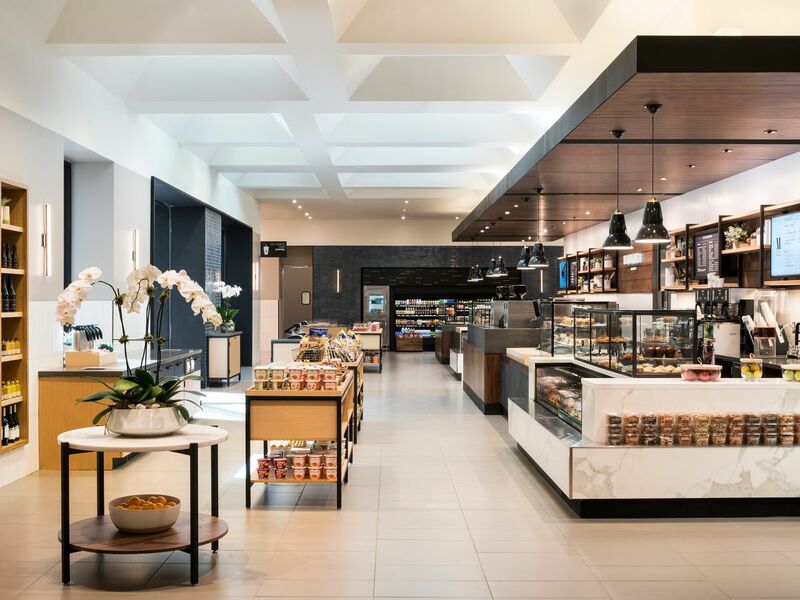 Designed to meet all of your on-the-go needs, Market offers a wide variety of grab-and-go breakfast options, bakery items, signature sandwiches, and pizzas—as well as Starbucks® coffee products, craft beer, and wine. On the hunt for souvenirs or gifts? T-shirts, books, and other products are also available for purchase. 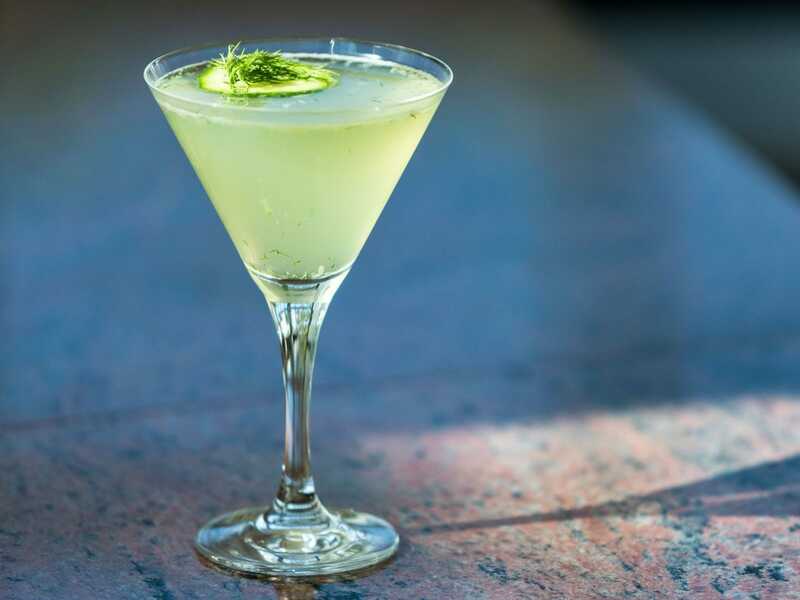 Indulge in handcrafted cocktails, bottled beers from around the world, and an extensive wine list as you overlook the Grotto Pool or watch a live performance at Rocks. A hotspot for mixing and mingling—not just at our hotel, but in all of Orlando—Rocks also offers private and semi-private options for 25–173 people. 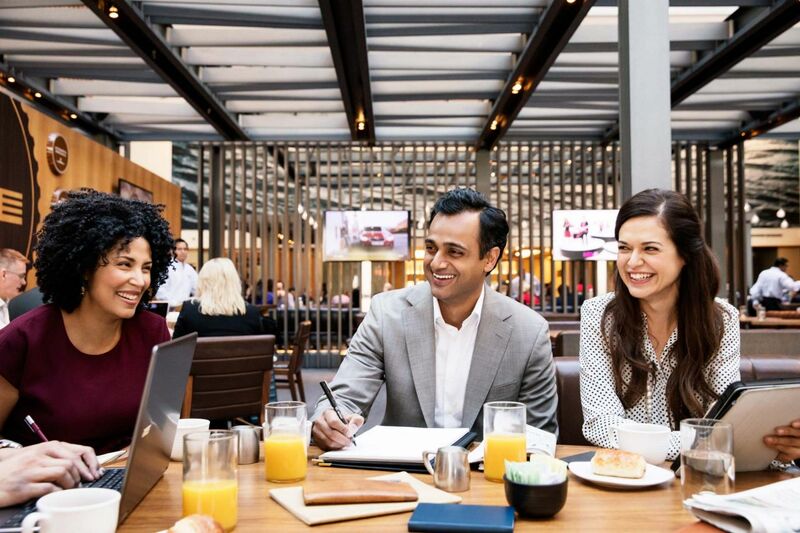 Adjacent to Market and showered with natural light, Lobby Bar is a bright, welcoming spot to sample a light bite or refreshing beverage—whether you’re feeling social or simply want to relax against the backdrop of our bustling hotel. 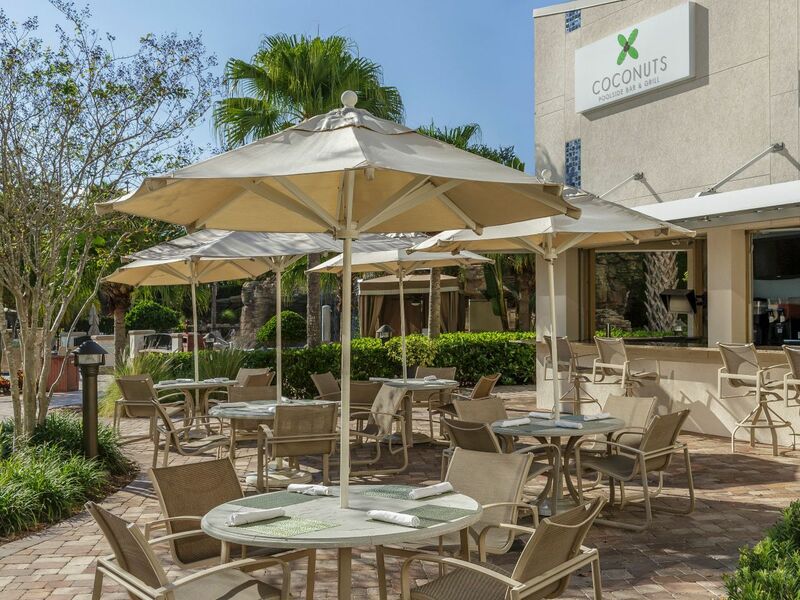 Enjoy a fresh salad, sandwich, or cocktail while you survey Grotto Pool’s lush landscaping—including a waterfall—and relax under warm Florida sunshine or a private cabana. Prefer to dine in the comfort and privacy of your room? Kick off your shoes and order classic comfort foods from the B-Line To Go menu. We’ll deliver the order to your door in eco-friendly packaging in 20 minutes or less.